Visit Rome, Assisi, Perugia, Basilica of St Francis, Florence, Michelangelo's David, Venice, Murano Island, Milan ... don't miss this once-in-a-lifetime trip! 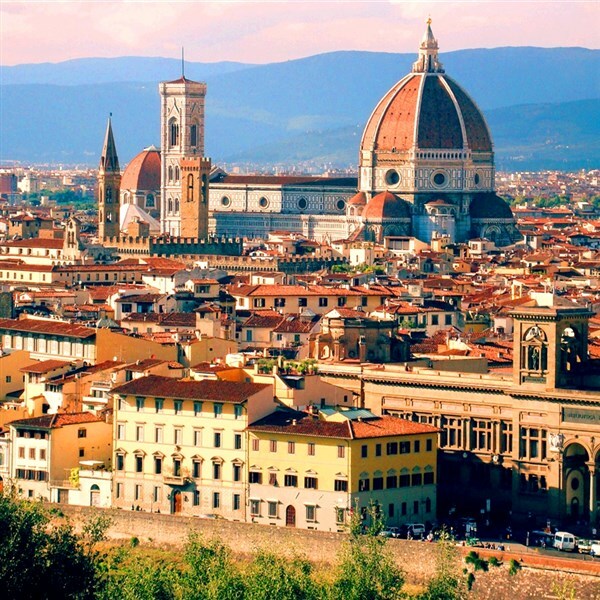 Join Van Galder and Collette for a tour that shows you all of Italy ... rich in history, culture, art, and romance! Overnight flight Chicago O'Hare to Rome, Italy. ROME: Begin in the "Eternal City". Settle in to your hotel and catch a little rest or hit the ground running before joining fellow travelers for a welcome dinner at a popular local restaurant featuring regional delicacies and fine Italian wines. 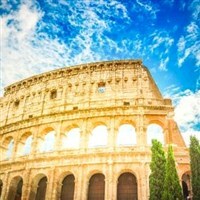 ROME CITY TOUR: Come to know the history and traditions of Rome while on a locally guided, panoramic tour featuring the impressive Piazza Venezia, the Circus Maximus, the Arch of Constantine, and the famous Navona. Your visit to the Colosseum includes a tour of the inside of the ampitheater with a local guide ... something not found on all tours of Rome! The remainder of the day at your leisure. Explore this amazing city on your own or arrange for a tour of Vatican City where you can see the Sistine Chapel! ASSISI AND PERUGIA: Learn a bit of the local language as the Tour Manager shares a few key Italian phrases. 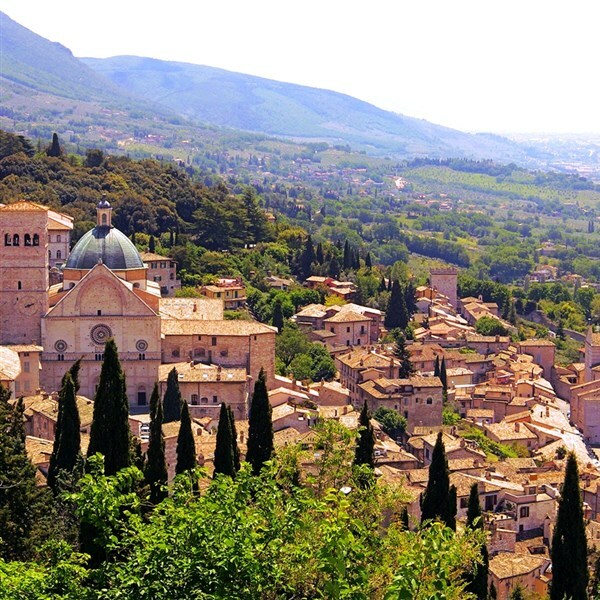 Travel to Assisi, birthplace of St Francis, patron saint of animals and the environment. Enjoy a guided walking tour of the old city, including the Basilica of St Francis. Then off to medieval Perugia, the capital of Umbria ... a city famous for chocolate and much more! TUSCANY REGION/SIENA: A scenic journey through Tuscany's graceful low-lying hills brings you to the mystical city of Siena. After a walking tour with a local expert, take some time to explore the city. Many shops and outdoor cafes will impress. Arrive in Florence and enjoy some free time before gathering for a group dinner. FLORENCE, the "Cradle of the Italian Renaissance": Visit the world-famous Academy Gallery to see Michelangelo's incredible statue of David. During the cultural tour you will also view the Cathedral of Santa Maria del Fiore, the Palazzo Vecchio and the Church of Santa Croce. Remainder of the day is at leisure to enjoy this remarkable city obn your own. No better way to start your day than with a visit to a historic winery in the heart of the Chianti region! Learn about wine and enjoy a chef-led cooking class, then sit back and savor regional delicacies. After lunch, journey toward the Valley of the Po. 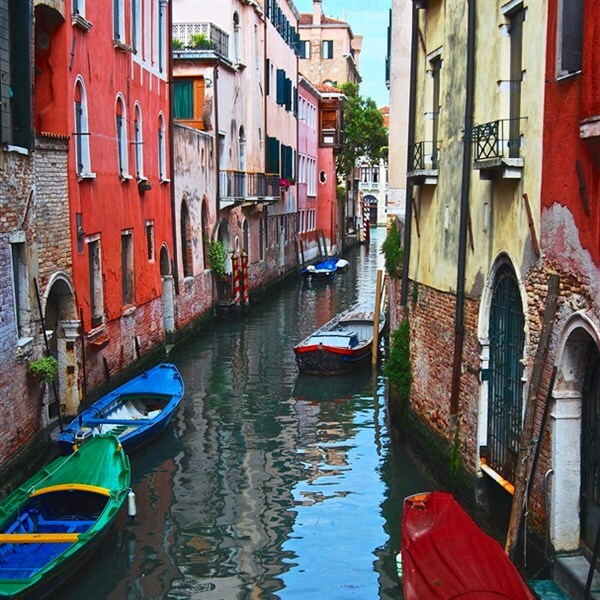 Enchanting Venice awaits with 118 tiny islands and its lattice work of 177 canals and 417 bridges. VENICE: See Venice from the water as we board a boat bound for Murano Island (Subject to weather conditions. Substitution activity included.) Enjoy a demonstration and discover the secrets of glass blowing and this acient art and marvel at the designs of each one-of-a-kind piece. Then it's off to St Mark's Square where you have a choice! Join in a walking tour of this famous square to view the stunning Basilica and visit the impressive Doge's Palace and the legandary Bridge of Sighs OR go off the beaten path to explore the Castello Sestiere district with a local expert; get to know Venice and see for yourself how the locals live as you walk canal by canal through the narrow streets lined with churches and historic buildings. Remainder of the day is at your leisure to explore independently. MILAN: Today, travel to Milan! Take in amazing sites on a locally guided walking tour. View the Opera House La Scala and Vittorio Emanuele Gallery, and visit the Duomo, a magnificient Gothic cathedral, the third largest church in Europe and the largest Gothic cathedral in the world. 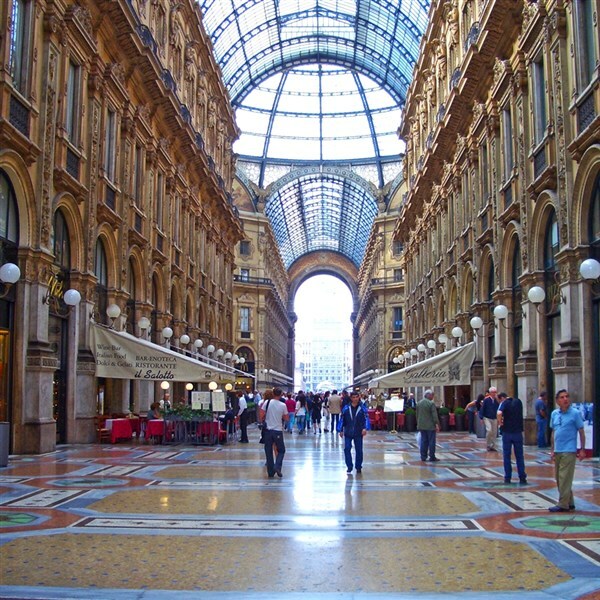 Perhaps indulge in some shopping time in Milan's high-fashion district. A farewell group dinner celebrating the end of a unforgetable trip tops off the evening! Your journey comes to an end, but your sun-soaked memories of this enchanting and diverse country will live on forever. DEPOSIT: $500.00 per person at time of reservation; final payment due March 16 ,2019. Reservations are made on a first come first served basis. Once payments have been received stringent cancellation penalities apply. ACCOMMODATIONS: Mediterraneo Hotel, Rome (2 nights); Sangallo Palace Hotel, Perugis; Hotel Albani Firenze, Florence (2 nights); Hotel Carlton on the Grand Canal, Venice (2 nights); Crowne Plaza Milan Malpensa, Malpensa. TOUR INCLUSIONS: Professional Collette Tour Manager, roundtrip airport transportation, airport/port terminal transportation, roundtrip air, accommodations, hotel luggage handling, admissions/attractions, 13 meals, including 8 Breakfasts, 1 Lunch, and 4 Dinners. TRAVEL INSURANCE: Optional, but highly Recommended. Collette Cancellation Waiver and Insurance $315.00 per person. PASSPORT REQUIRED: Passport must be valid for six months upon departure from Milan, Italy. ACTIVITY LEVEL 3 / HEAVY WALKING: Physical stamina required. Stair climbing, longer periods of walking and / or standing may be involved, along with higher elevations and longer days. Participants must be able to keep up with the group. ADDITIONAL FEES: Airline luggage fees and fuel surcharges (if applicable) are additional ans vary by airline.